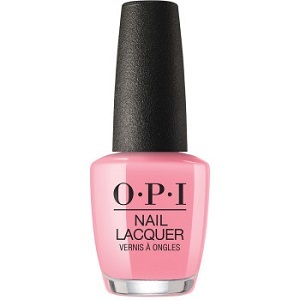 OPI Nail Polish, Pink Ladies Rule The School, NLG48, .50 fl. oz. Medium pink creme nail color with subtle peach undertones. OPI Grease Collection, Summer 2018.